3. Vote “5″ for my design because it is awesome!! $!!! >>> Leave a comment with a link to your pinterest page if you would like to enter the pin to win contest! 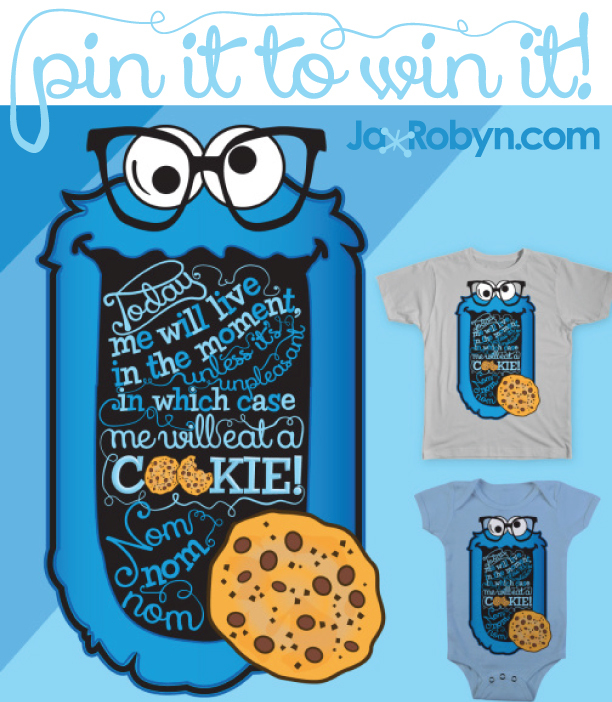 If you share my design on Facebook, Twitter (@jaxrobyn), Pinterest (@jacquelinerobyn), Instagram (@jaxrobyn) and tag me, you will be entered to win a free shirt as well!